Really? 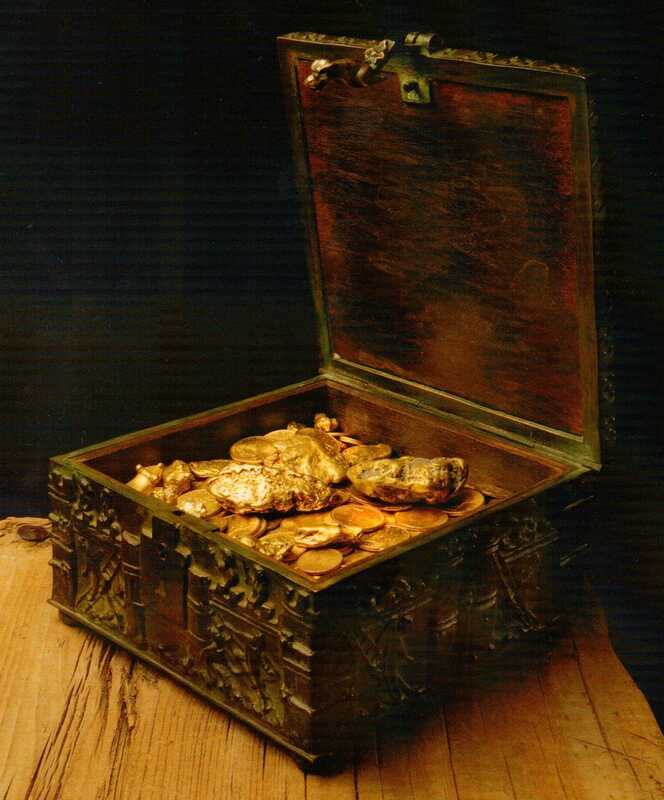 A treasure chest hidden in the Rocky Mountains? Just solve the clues in his poem. 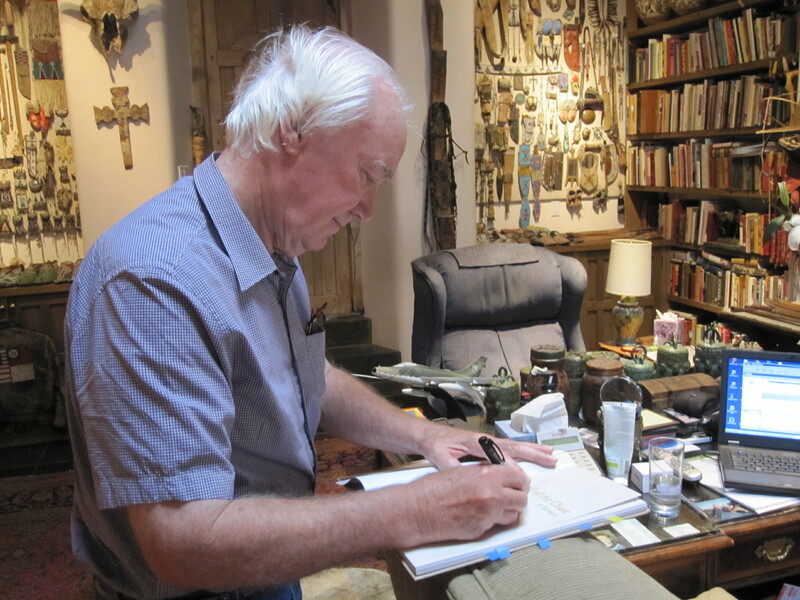 About six weeks ago, I first visited Forrest Fenn’s Old Santa Fe Trading Company’s website. I read the poem: The Thrill of the Chase. I read some of Forrest Fenn’s other writings. I consulted a map. So, then, naturally I decided to order the book. Good thing I didn’t wait. There were only 389 or so copies left. I buzzed through it once, and am in the process of studying it now. Along with the armloads of library books I carry home. Then, I started following Dal’s blog: The Thrill of the Chase. And Richard’s. See the Official TOTC Resource page at Old Santa Fe Trading Co. (http://www.oldsantafetradingco.com/the-thrill-resource-page ) Thank you all. Don’t worry fellow chasers. I haven’t been out west for 8 or 10 years, and I’ve never even been to New Mexico or Arizona. My searches will lie from Colorado north, only because I’m slightly more familiar with the northern tier of states. Once the treasure is in someone’s hands, we can post stories and pictures from the paths that our interpretations of the poem led us down, actual and imagined. I’m up to about twenty very fitting solutions myself, though I won’t be attempting all of them. Not a fan of the grizzly bear, rattlesnakes, flying, and altitude, it turns out. Also, you might like to reveal all the awesome solutions and hints you’ve discovered hidden in the layers of Mr. Fenn’s writings. Well, not just yet, maybe . . . . So who is Forrest Fenn? Archaeologist? And maybe a Matchmaker. Get a glimpse of the man by watching Dal’s Santa Fe Interviews. Here’s one about Fenn, the pilot. Nice introduction Barbara, and thanks. Well, you blog very well. I like to visit your blog frequently and enjoy it. hello…if the links are said to be 8.25 miles….where are they startign from? his home…to ending point…or he never left his home?? ?/but he has said that its not on his property. Thanks, Dal. I was lucky. The heavy rains had pushed a couple of them on edge even. The two complete ones were new to me. Snapped bases were uncommon where I’m from, about a hundred thirty miles from my current site. Then again, I showed one that was new to the experts south of here an hour, a Fox Valley point. Glad you visited. So many layers, but what would be more appropriate for an archaeologist? Good luck! Welcome aboard. Keep me posted! I love your site. The variety, photos, books, even book fairies! What fun. I especially like the picture of the little girl reading the tome on your Beloved Books page. Very close! 🙂 The pic of the little girl reading is taken from the film “I am DIna”, it’s beautiful, isn’t it? It goes right to my heart; she cannot read, she is sort of counting the words. Thanks a lot for looking into it! It’s highly appreciated. Really like your website. As a true Fenn treasure searcher also, the chase has been as enjoyable for me as the scenery I have explored in. Thank you! I wonder how many of us are out there . . . .
As soon as I saw that lovely picture, I started singing John Denver songs. Funny how a song can take you back, too. Thanks for visiting! Thanks for visiting my blog. Your blog looks very interesting and is something I knew nothing about. Good luck on your quest. Thanks for checking out my new blog! I look forward to following yours. Have a wonderful weekend!! Thanks. I love your arctic circle photography. Stunning. Maybe I’ve got adult ADHD. Or maybe I’m just easily bored. You’ve got quite the adventures. I’ll enjoy them vicariously—too claustrophobic to scuba dive. Snorkeling works though. This is very cool. I may need to get a copy of that book for myself. Thank you for liking my post “A Fallen Comet”, else I wouldn’t have had the chance to find your blog.Thanks for the wonderful posts and photos! Thank you for visiting my blog, http://www.englishmanual.wordpress.com. I’ve had a look around yours and can see that you have a mission! Life is much more interesting when you walk with your eyes open for possibilities. All the best. Thanks for the recent “like” of a post on my Western genre site….much appreciated. All the best on the adventure! Thanks for visiting my blog and liking my post. I love the Time Lapse video by Shane Black, so much that I had to post to my blog. Have a great day. Thanks for liking my post and good luck with your chase. It reminds me of a similar chase which happened in England following Kit Williams book Masquerade. Better get going before the snow hits! YIKES! Thanks for dropping by “Honey.” We’re trying to stay warm! By staying south of you. Sixty today, but the chill is coming! We may dodge the snow, though. Safe travels! I love your blog, I read the poem The Thrill of The Chase back in March. I am not pursuing the treasure at this point in time but I have considered the clues. I don’t have time for a treasure hunt of this magnitude at this point of my life. My spare time is pre occupied with the hunt for gold and gems that nature will allow me to find. I will frequent you blog. To all who seek this treasure good luck. I think I figured out another clue from your blog, thanks for the inspiration. You’re welcome. Let me know if it “pans” out! 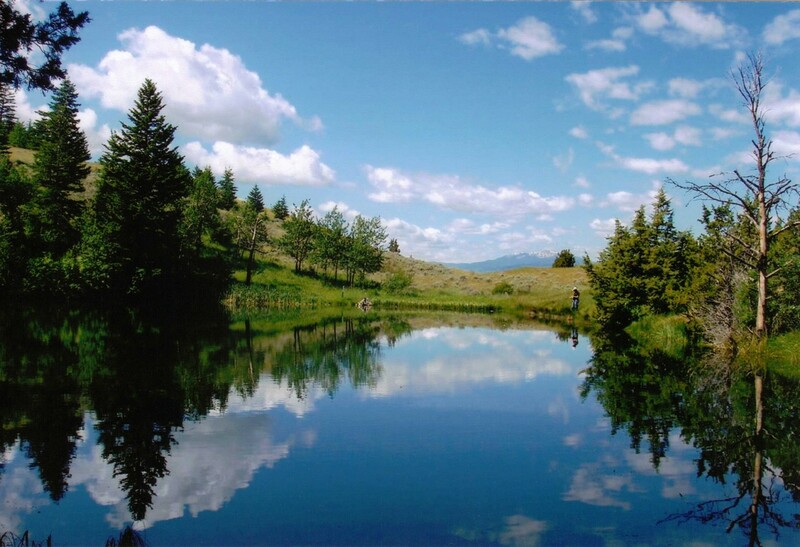 And if the chase brings you to beautiful vistas and fresh air, all the better and more fun in the chase. Alas, Canada has been ruled out of the Chase, but I still have a couple of favorite places there! I had not been aware from what I have read that Canada had been ruled out. It seemed the legalities of a US finding versus a Canada finding were in Canada’s favour. Ah well, no mooses for you then! Outdoorsman? Not quite, but thanks! Rolling Creek sounds great. Thanks for visiting. In a perfect world we would meet and travel by caravan. On the other hand it might be fun to just all meet at a hotel off of the plaza in Santa Fe and share stories about our lives and talk freely about our searches like the knights of old or prospectors around the campfire, but with kingsized pillow top beds to rest our late in life heads. 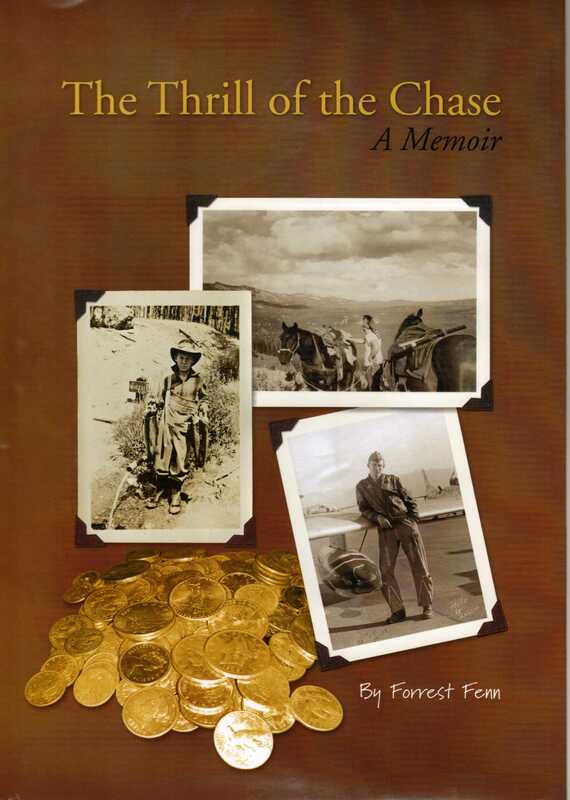 I estimate that the book and treasure hunters have poured tourist bucks into the economy to cover the value of the treasure several times over hinting the state should allow him to live tax free. More importantly the help he and the book people give for cancer patients is such a compassionate mission, God should give him another life extention. My grandmother said that living in that part of the country, walking in the mountains and drinking hot water with lemon kept her living much longer than she or anyone expected. We have all been blessed by Mr Fenn and his wonderful family for their stories, lessons of selfless service to others and especially his teachers that managed to get some learning into him to write such a great poem. This is exciting and I wish you luck! Wow! From what i have seen on this first visit to your blog…Well done! Great work. Thank you so much for visiting and following my own; its much appreciated my friend. HNY! Wow! What a small world! You visited my blog, and I visit yours, only to find you are a seeker of the Fenn Treasure! What a coincidence! I have read and analyzed the poem and had the most delight trying to unlock the location of the treasure. Good luck! Hi. The following is the location of the treasure. Please do not bother the man. Go at night, take a flashlight, don’t say a word. Just take it and leave. Do not try to go speak with him, you will be shooed off the property. They’ll probably call the cops. The treasure hasn’t been found, and will not be found, because the treasure is in the pond at his home. He controls who comes in and out. Starting at the southwestern border of Santa Fe, near the Airport (he was a fighter pilot), find Aqua Fria (warm water halts where cold water begins). Follow it up to Government Plaza, where numerous Browns have held the judge’s seat. Leave Government Plaza to the southeast, taking Canyon Dr. South. As you near the end of Canyon Dr, you will pass a church (meek). Continue down Canyon, but do NOT follow the Santa Fe River up Upper Canyon Dr. The only thing up there is reservoirs and the only road in the area that allows Semi Trucks (heavy loads). Continue past the schools (wise), to Camino Del Monte Sol (Blaze #1), look down to Santa Fe Trail (trail BLAZE #2). Mr. Fenn’s home is right there. If you notice, his home is bordering on a forest. Which is the definition of “a wood.” When you see the pond, just go in. Don’t knock on his door, don’t talk to anyone. Just go in, take the chest and leave. Fenn has said the treasure is 66,000 links North of Santa Fe. 66,000 links is a surveyor’s measurement, equaling 8.5 miles. The route above is just above 8.5 miles, and takes you directly to his home. He said he was taking his treasure with him when he died, and that the treasure is where he wanted to die. He sold his multi-million dollar art gallery in Santa Fe to build a home in… Santa Fe. Why not move? He was 60-70 years old when he sold. When I’m 60-70, I’m moving where I want to die. Now… when you get there, you have to start at the beginning. Fenn’s biggest memory was skinny dipping in the warm springs of Wyoming. Then later, he discusses how his family would never go in with him. “I’ve done it tired and now I’m weak.” Tired can also be used to say you’ve done something over and over again and now that he’s 80, he doesn’t have the strength to jump in a cold pond anymore. You might get arrested trying that solve, Mason. Have you got bail money or are you counting on paying in nuggets? I’m 100% sure the chest is in his pond, but I’m also not going back for it. The guy getting me to leave said, “It’s his legacy…” I thought about it, and he’s right. I’d rather have his great grandchildren to find it. People like us will never have the same love of that stuff as Forrest, or hopefully, his lineage. I agree that his pond isn’t “north of Santa Fe.” Good luck. How tall are your waders? thank you, greatly appreciated! Although i have full body insulated waders for surf fishing stripers in November in new jersey, i will not be bringing them for my july trip. i think this is a swimming trip. general question for the forum, will underwater metal detectors be effective? if so, what type should i be purchasing or renting specifically? MineLab has a nice underwater detector, I use it on the beaches around the Ches. Bay in Md. I plan to hit AC with it some time. I have been having some fun checking out the Poem and old maps. I do like to come up with possible solutions but right now don’t like the idea of encountering a snake that rattles. Well Mr.Fenn I’ll be there looking for it too real soon I’ll bring it to you soon lol. If you plan carefully (and have backup plans,cause, ya know, stuff happens) and or a trusted search partner) why not? And, if not, the dreaming and speculating is fun. I take it you did not locate the chest then ?? ughhh…. I would really like to talk to Mr. Fenn , he has the right idea of helping people . We ALL have a chance to riches if we get up and out to go looking for it . You get nothing by doing nothing. Thank you Mr.Fenn for your inspiration to us all. I keep saying the same thing, but am sure others have some idea what FF means within his poem. I have My solve as does everyone else. Just need to get out there in 2019 if no one has found it yet and check My location. I have a pretty good idea where its at, just cant get out there.